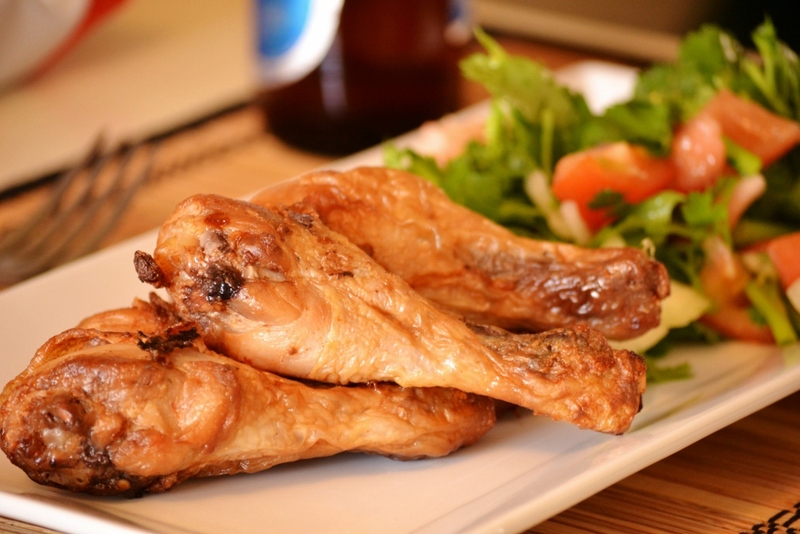 Chicken Wings………who can say no to a simple fried chicken, well I cant! 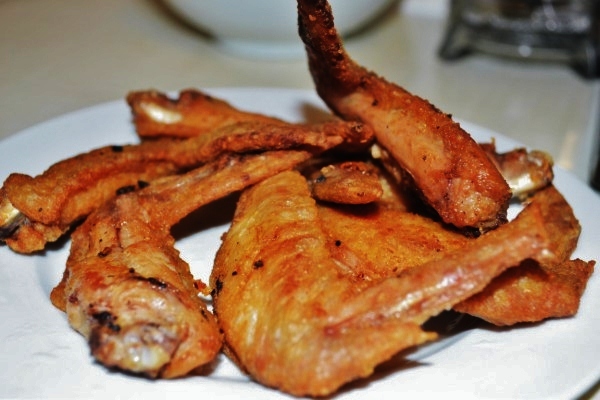 This is my version of kfc’s wicked wings. My recipe has a twist of spicy and salty. Yuummmm haaaa!!!!! 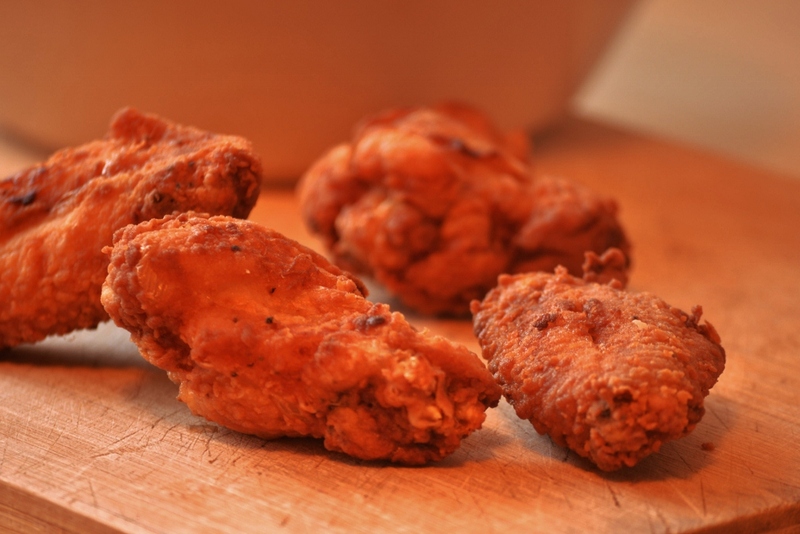 In a deep frying pan, heat oil and fry chicken until golden brown. You can served with gravy or a just a ketsup…. Enjoy!!!!! chicken fingers…………Who would say lemon butter sauce is only great for fish such as grilled salmon, blue marlin and fish fillets. It is also great with chicken. 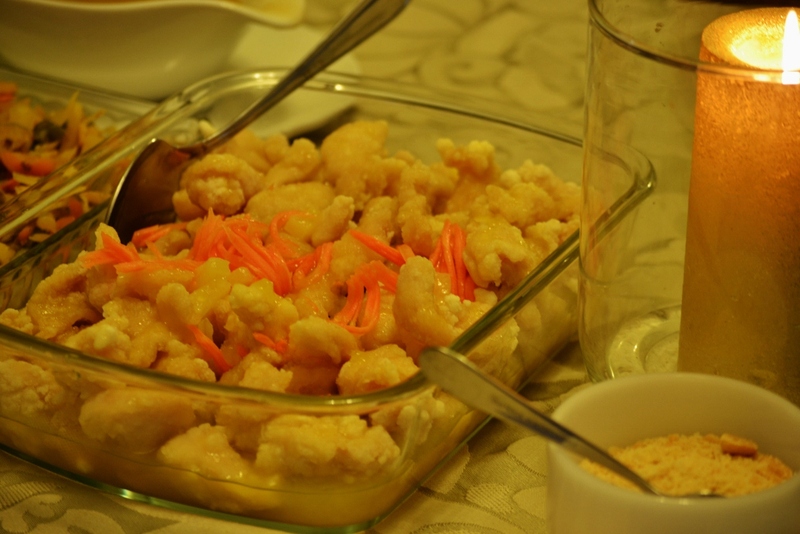 Again this recipe is made banquet style. For recap, I worked before in a very busy buffet restaurants where every meat is being fried – flour coated and salt seasoned meat such as chicken, pork and fish. The only thing will be different is in the sauces. The chef just tossed the sauce and select from these fried meat dishes. This one is a flour coated chicken fingers served with a lemon butter sauce………………….Did you know that lemon butter sauce is mainly made with butter and lemon itself. Butter is a great source of Vitamins E and K. Butter is also an anti-oxidants that protect against free radical damage and anti-oxidants that protect against weakening arteries. Lemon – believed to lowers blood pressure and increases the levels of HDL (good cholesterol). Lemon is found to be anti-carcinogenic which lower the rates of colon, prostate, and breast cancer. In a little sauce pan, heat butter and stir with lemon. do not boil just heated. then seasoned with salt and pepper and sprinkle with chopped parsley and chicken powder. 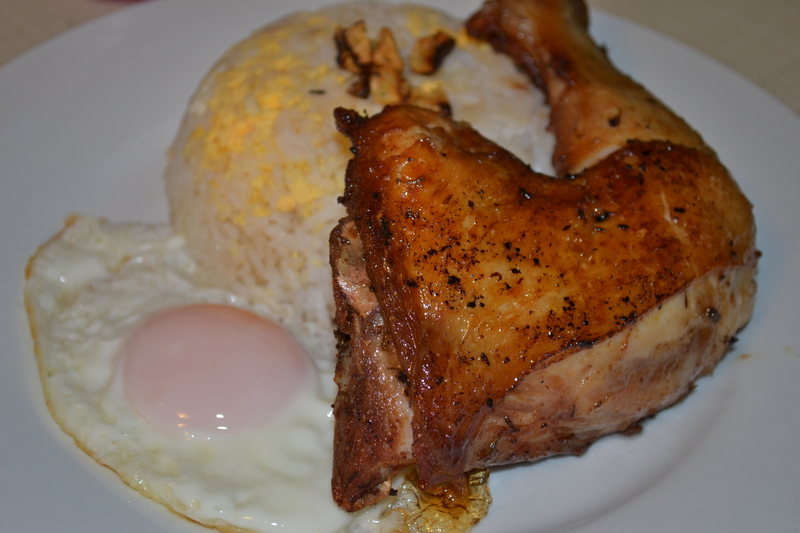 You can toss with chicken serve on the side. 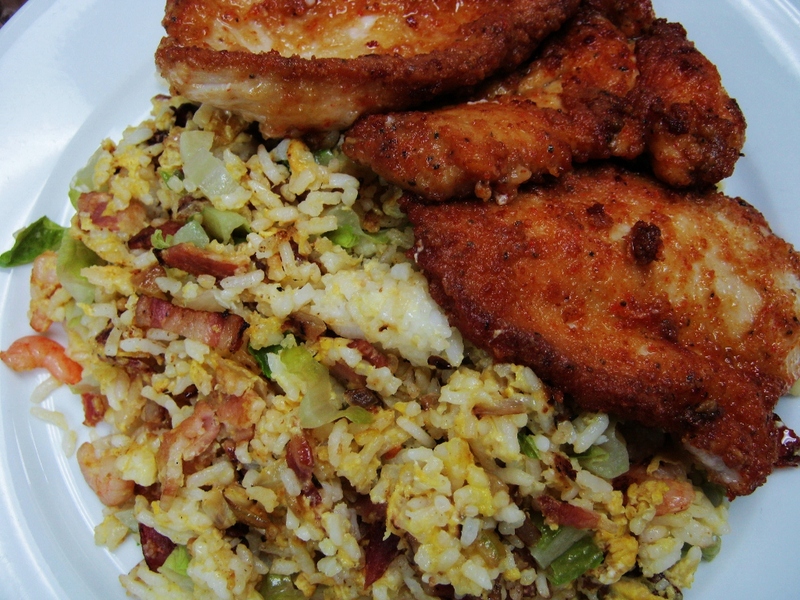 In a container with cover, combine all ingredient together except chicken, mix well. Then Dip chicken in the flour mixture and cover. shake well allowing the chicken to absorb the flour mixture. 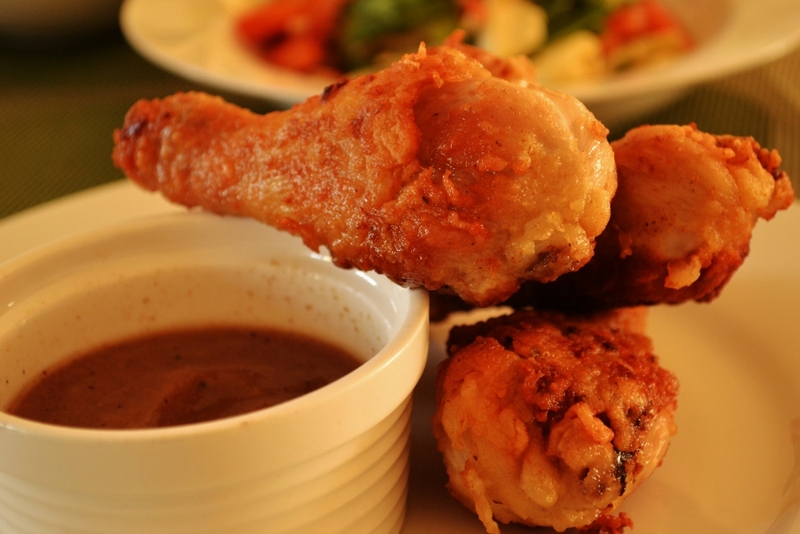 In a deep frying pan, heat oil and fry chicken. 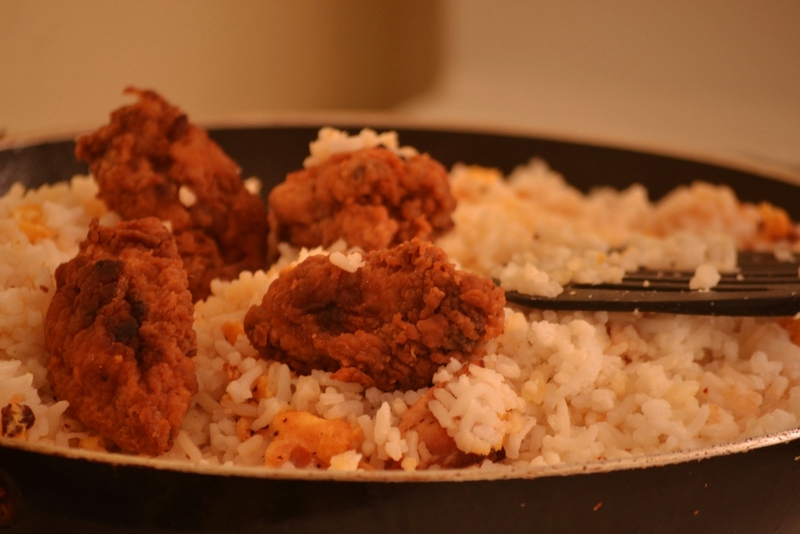 If you want to get the tenderness of the chicken. cover the frying pan. If you want it to be crispy, don’t cover it. fry for 12 minutes or until golden brown. * in a pan, boil 1 cup of water and add cracklings. boil and stir in dissolved flour. adjust your taste by adding salt and pepper. if you want your gravy a little darker, you can add seasoning soy sauce. Depending on your desired texture, add the remaining 1 cup of water little by little. 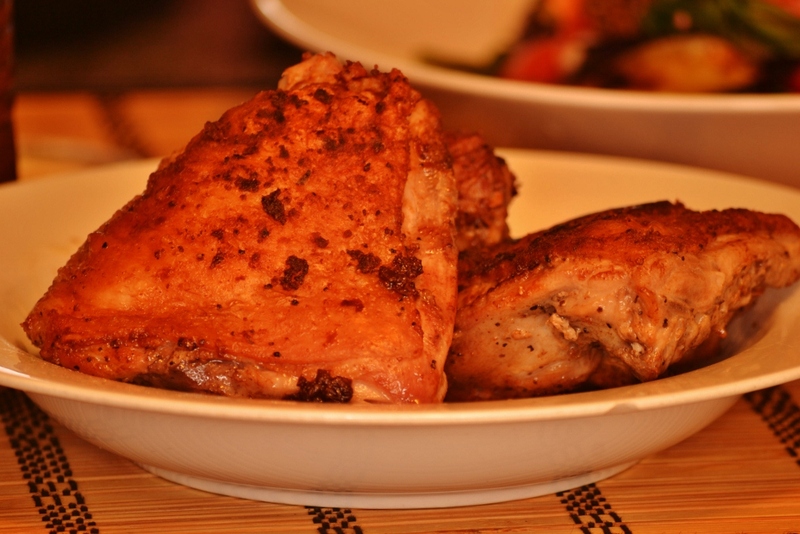 in a container, place chicken and rubbed with garlic, salt & pepper and soy sauce. marinate for about 15 minutes to 1 hour.